Donald the Dumb needs help in spite of his kidding himself, “Throughout my life, my two greatest assets have been mental stability and being, like, really smart.” Well, no one believes that dumb assumption. Instead of telling you the obvious, you need to allow me to provide an accelerated semester class that might make you think. It would take a week. Each day of the week will begin by not tweeting but reading what the Dalai Lama says. On Sunday morning at 5:30am, forget tweeting. Read this statement from the Dalai Lama. “The world doesn’t belong to leaders: the world belongs to all humanity.” That will cause you to react negativity. Nonetheless, you aren’t some Greek deity which has come down from Mt. Olympus. Write it down what the Dalai Lama said and carry it with you all Sunday. Ponder his message and the way you treat people especially women. On Monday, the Dalai Lama provided additional advice. “When you think everything is someone else’s fault, you will suffer a lot. When you realize that everything springs only from yourself, you will learn both peace and joy.” Be honest with yourself. You aren’t at peace, and you don’t live in joy. America isn’t benefiting with you living in peace and joy. Even those closest to you aren’t. Ask Melania or Barron. Your choice is to continue doing, which has resulted in you driving around in a cul-de-sac or learn from His Holiness. Tuesday dawns early and you are toying with tweeting; don’t. Think about what the Dalai Lama said about one’s vocation. “The planet does not need more successful people. 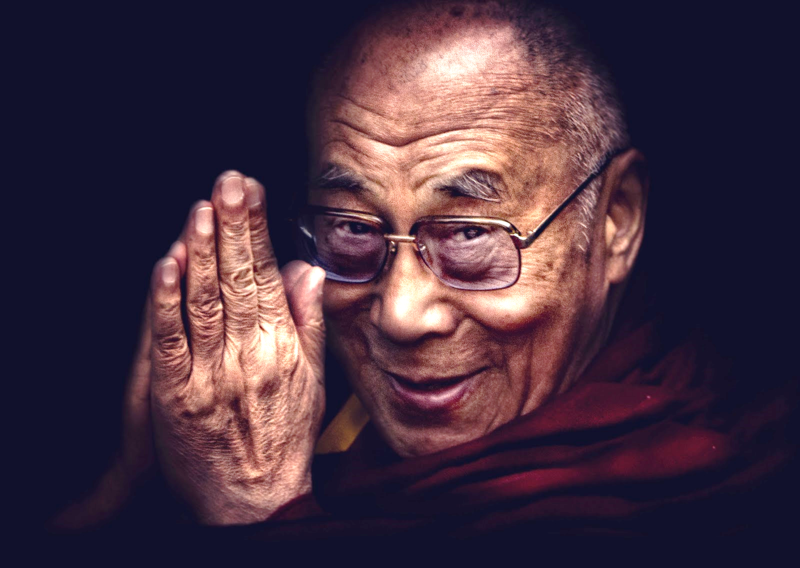 The planet desperately needs more peacemakers, healers, restorers, storytellers and lovers of all kinds.” You aren’t any of the Dalai Lama’s goals for you. You are warring with everyone out there in the world, but you aren’t at peace within yourself. On Wednesday, don’t quit; you can’t afford to do so. His Holiness said, “Judge your success by what you had to give up in order to get it.” Yo, Donald, you gave up your humanity, decency, and honesty. You are on your way to an impeachment. Thursday has arrived. Here is another lesson from the Dalai Lama. “When you talk, you are only repeating what you already know. But if you listen, you may learn something new.” This won’t be easy for you to address. Whether in speeches or in tweets, you talk constantly. Additionally, much of your rhetoric is blatant lies, repeated over and over again. Friday has arrived, and you are approaching the end of the week and your semester. If you are really very smart, gut it out. His Holiness wants you to think about this advice. “People exist to be loved; objects exist to be used. The world is in chaos because these things are the other way around.” That should hit home to you personally. Women aren’t objects; they are people. Hey, would you like being treated as a thing? Finally, Saturday has arrived; your accelerated semester class is ending with one more insight. “When you are discontent, you always want more, more, more. Your desire can never be satisfied. But when you practice contentment, you can say to yourself, ‘Oh yes — I already have everything that I really need.’” You are rich in money and are dirt poor as a person. Donald, you are in your twilight years. You have wasted much of your life. Your choice is clear. Either you will listen to the Dalai Lama, or you won’t. If you don’t, I’d suggest that you listen to a real president.